It’s been a little while since I did a lifestyle/rant post. 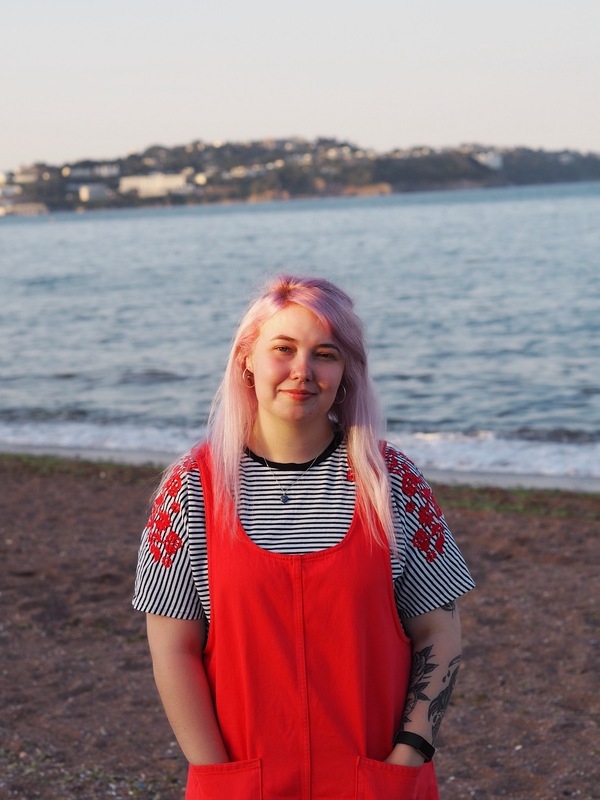 The idea for this post came about recently when I was in Paignton with Jake. The pictures in this post are taken on this day as I knew when I thought of it just how I wanted the post to look and go. As you can see, I’m fresh faced. Not a drop of makeup in sight which is something I don’t think I’ve ever fully unleashed to the internet before. Before I go on, think to yourself, do you see me as a professional or presentable woman in these photos? We got nearly to the end of the day when I realised I’d not gotten in a single photo. But, why? It was the first trip we’d been on with my lovely new camera lens. The sun was shining, I was in the most amazing mood. 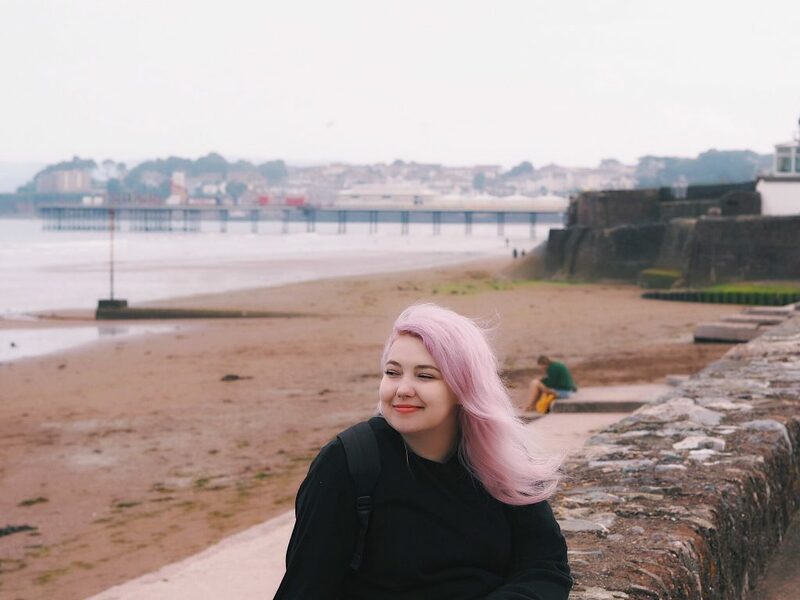 I eventually realised it’s because I felt I wasn’t presentable enough and I didn’t want photographs remembering that day of me looking the way that I did. I’m sat there looking at Jake, thinking he looks like a dream. There’s no significant difference between our appearances, both wearing no make-up, both wearing Summery clothes suitable for warmer weather. So why am I so reluctant to believe I look okay? I’ve always been a little scruffy, quite literally from birth. My mums always said she’d buy me gorgeous little dresses, put me in them, coo over me and then 2 minutes later I’d be happily rolling in dirt and mud. I also remember going on a family day out to a farm once and full on falling in a pond and spending the rest of the day looking like a drowned rat. From my hair sticking up everywhere to spilling food down me, I can’t say I’ve ever been the most “ladylike“. But I mean, what actually comes with the meaning of that word? I’ve heard it described before as “a woman who has morals and respect for herself”, which in my opinion is completely wrong. I don’t think anyone but a woman herself can claim or decide whether she has respect for herself. To be deemed as “ladylike” from my experience of the word is to present yourself as a stereotypical female. Polite, quiet, clean-cut, non-controversial, generically nice to look at. If we’re going by those words to specifically describe being a lady, I’m happy to say that I don’t think I’m friends with a single one. I was looking at those cheesy kitchen signs in a garden centre recently. One of them read “It’s hard to be a woman: You must think like a man, act like a lady, look like a young girl and work like a horse”. That very plainly explains the expectations of us and if you think about it, it’s true. I don’t know about you but I still feel pressure to be “ladylike” to be branded as attractive. I feel pressure to be a presentable woman to be taken seriously. I feel pressure to always leave the house perfectly made up. For my hair to be constantly in place, looking soft and silky. There’s always such a sense of unease when I leave the house looking not “up to scratch”. Who will I bump into? What will people think? They’ll think I’m some sort of catfish online. My boyfriend is constantly complimenting me, no matter what physical state I’m in. But I still feel the need a lot of the time to turn to him before going out not looking my best and saying, “Do you mind me looking like this?” despite him never once saying a negative thing about my appearance in the almost 5 years we’ve been together. Why do we need that validation from other people? Our bodies and the way we choose to present ourselves is actually our own business and nobody elses. I mean, we all love getting made up, dressing up and feeling pretty. But who actually has the time, energy and motivation to do that every single day? And why is it known to be “not making an effort” if a woman turns up anywhere with no makeup on? Currently, I’d probably say I wear makeup one day a week, if that. I’ve also recognised that I contribute to this anxiety of my own by only posting photos online where I think I look “acceptable”, where I adhere to these standards. I suppose this sets an unreal expectation for people to think I look like that all the time. So I’m making a vow from now on, to post more photos without makeup. To post more photos in my PJs, with my hair plopped on my head. To post more photos where I’m looking like my generally anxious self and not standing in a glamorous dress with my shoulders back like I don’t have a care in the world. These photos are great and they make me feel good about myself but they’re not representative of my every day life. I’m still a presentable woman and I’m still pretty in super casual clothes and no makeup. If you want to join me in this little movement and support your fellow females, post a photo of yourself looking “unpresentable” on Instagram with the hashtag #PrettyPresentable and support everyone else doing so by giving them some likes/positive comments! I’d love to have you onboard, whoever you are, in this little project of mine. What are your experiences with leaving the house makeup-less/”unpresentable” and do you have insecurities around it? Do you see yourself as a presentable woman? 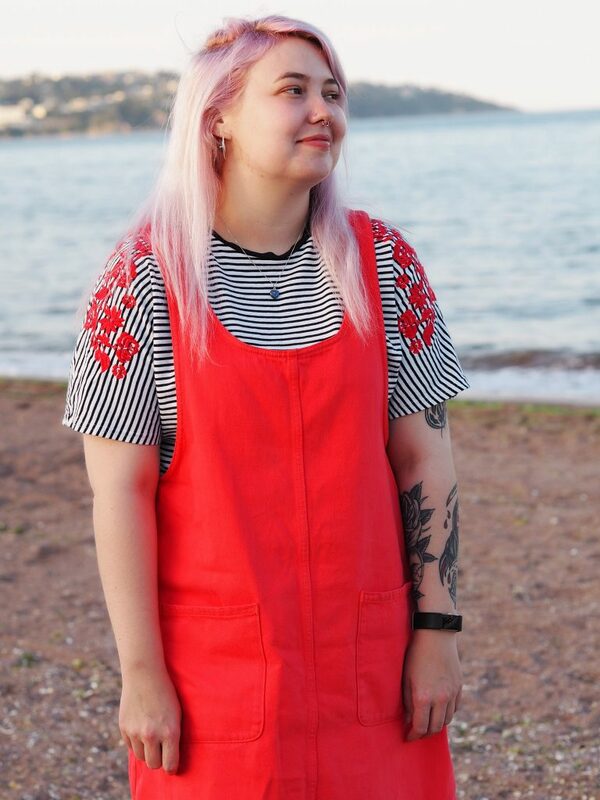 Outfit details: Orange pinafore: Monki / stripy embroided top: New Look. My 5 Favourite Photos Ever! My Boyfriend Does My Halloween Makeup! "Budget Makeup Accentuaters Under £10!" "How To Spark Photographic Inspiration! AD*"
I loved reading this post Alice, beautifully written!! I definitely feel the pressure to look presentable in day to day life and online! 100% agree when you said that it’s ‘not making an effort’ when not wearing makeup!! My two friends never wear makeup and I’m trying to take a leaf out of their book to realise that it’s okay and I can still look presentable without it! 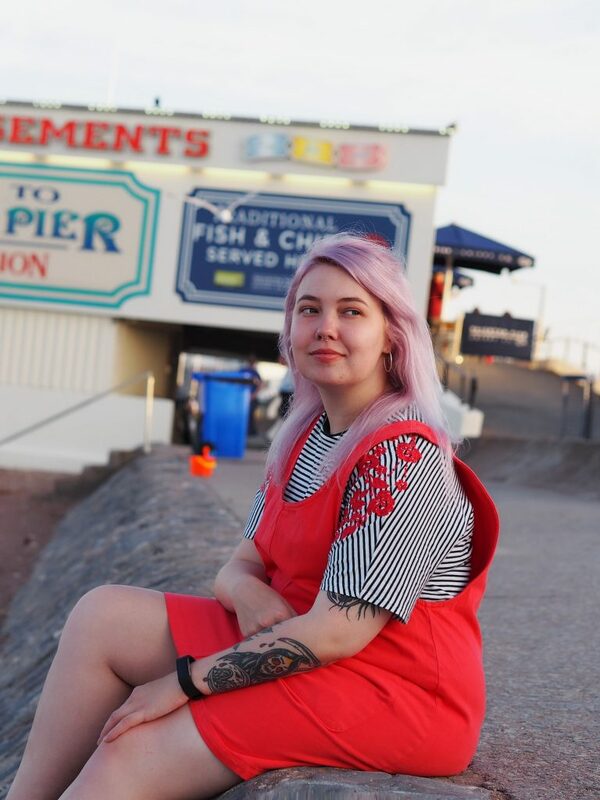 Fabulous post & I love your outfit!! I shall be posting on Instagram tonight!! YES TO THIS POST!! I’ve found as I’ve gotten a bit older that I care less and less about showcasing the best of me – I’ve started to wear less and less makeup, will wear clothes that I’m comfortable in and am happy to share that side of myself online. It’s empowering and a way of sticking your middle finger up to the masses of curated, unrealistic snapshots we see online, giving a false representation of real life. So happy i’ve got to be apart of this! I loved reading this post as it reflects me as a woman. I’ve never been a girly girl and I rarely wear make up if I’m just going about everyday life but I do feel the pressure to have tidy, shaped eyebrows and tidy hair. I decided to go barefaced in my latest Instagram pic as I just could not be bothered with make up and tbh I didn’t need it!! Loved reading it. Such a relatable post as I’m one of those “non-ladylike” females and take pride in that! Kudos to you for sharing those insecurities we all face while uploading pictures on social media. Great post! Alice, this is brilliant!! Yes, girl! We are who we are! Makeup, nice clothes, material items in general, don’t make us, US! and it’s not “making an effort” if I choose to wear some blush and lashes one day. (What a ridiculous expression, really.) I will totally support this movement! In fact my last IG post I was makeup free, and I’m going to update my hashtags!! I love this! Well, you already know pretty much my thoughts on this, in that it’s AMAZING and I LOVE it! 🙂 But I wanted to say it again, and support this post, because 1) the points you make are excellent and 2) you look fantastic. Lots of love to you, Alice. I love not wearing makeup some days. It’s so refreshing and easy! This is such an inspiring post! When you say that why is it known as not making an effort when we wear no makeup blew my mind. I am gonna share this hashtag on Instagram to get this movement going, lots of love ? absolutely loved this post! You are so right! Woman are definitely classed as ‘not making an effort’ if we don’t wear a full face of makeup and like you if I don’t have makeup on I try and avoid photos.. yet my boyfriend never wears makeup and he’s classed as being presentable! I am so in love with everything that this post is and the message it has to offer, I’m also so glad I took part in the hashtag, thank you for writing such beautiful posts! I loved reading this post so much. Makeup is not really a part of my everyday routine but I do sometimes feel that pressure to apply it when going out with friends. I think this is such an inspiring read! Everything you said is so true and so important to think about! This is such an inspiring post! I really love this message, and can definitely relate to what you’ve described. There really is this pressure for females to look a certain way every time they go out. Thank you so much for sharing! Love this post! I quite often leave the house look unpresentable with no makeup and messy hair but I often see girls with full makeup and perfect eyebrows and hair and I think, how do you manage to do that hahaha. Even at work where I’m covered in practically covered in grease and milkshakes I still feel like I need to my hair and makeup! Great post! 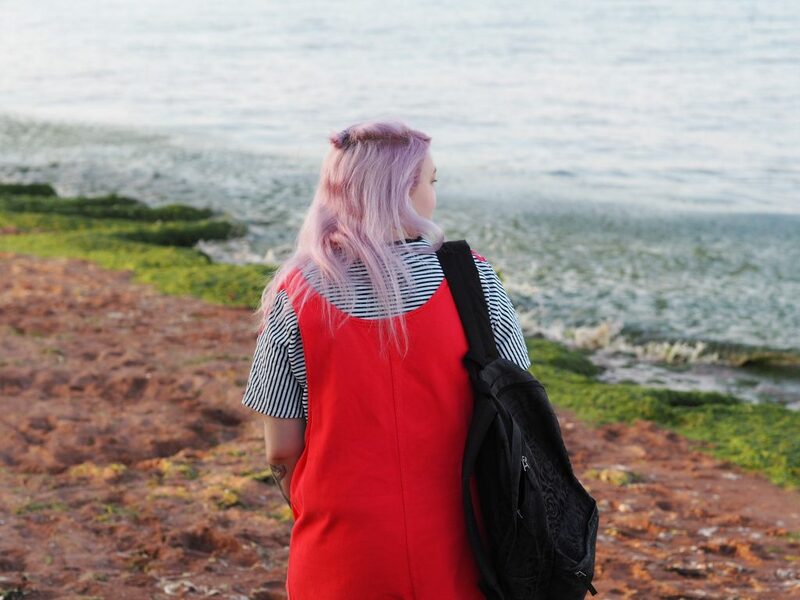 I’m currently in the middle of writing one about body confidence and the pressures we face as women. One of the things I kept coming back to was something you touched on yourself. In that, we as women are guilty of putting pressure on ourselves. Sometimes it isn’t so much something you see on Instagram (for example), that makes you feel down, but it is actually your OWN thoughts. It’s you picking holes in you. I keep reminding myself to treat myself better. We all should! I think you can be attractive even if you’re a woman wearing a suit or in basketball shorts. It’s what you do that matters more. I always have trouble with following the office dress code because I hate wearing certain outfits- which is fine! Thanks for sharing your thoughts about this! I love this topic and your idea for the Instagram campaign! You look absolutely gorgeous in all of these photos and your skin is so clear I wouldn’t have even known that you weren’t wearing foundation without you saying! Amazing topic and so so important! This is so amazing! I did my #PrettyPresentable post on Insta today and boy, it was breath of fresh air. So inspiring to read this post! This is such a beautiful post! I’m the least “ladylike” girl I know, and I love it. To anyone who is reading this: don’t let anyone tell you how YOU should look or be, and don’t overthink what other’s might be thinking. I go for comfort over presentable. The hell with everyone who judge me for the way I look! I honestly couldn’t disagree more. But I also try to look at it from a much different (much more historical and accurately simplified) angle than most- and kind of think it’s disgusting that the common views of it focuses almost entirely on appearance when it’s really about social contracts… So maybe that’s why. Come to think of it, it might also be why my immediate thought when you asked “Before I go on, think to yourself, do you see me as a professional or presentable woman in these photos?” was “Well… Yeah? Is this really even a question?”; makeup isn’t the be-all-end-all of whether or not someone’s “presentable” in my opinion. A clear care for their basic hygiene is- and you certainly meet those standards by a mile… That’s more than “presentable” enough for me. I completely agree with this. Up until about a year ago I wouldnt go to work without makeup, and if I was running late I always brought some with me to do a face in the car. Society shows us too many portrayals of the ‘presentable’ woman, it’s about time we all realize who we are without makeup is enough. Love this post, found your link from the BloggersTribe fb group! Ah, I totally agree. There are too many people – men and women included – telling others how they should look, act etc. I blame advertising in a big way – in order to sell they need to create a need, and in order to create that need they have to make people feel lacking or insecure about something. Good on you for taking your pics, you look lovely!